At SpiritBank, you’re the star of the show! Yes, yes, we know many other banks say something like this, too. Let us prove to you how integral you are to everything we do. It’s the “secret sauce” of SpiritBank’s success for over 100 years. The history of our company is rooted deeply in the foundation of the beginnings of the great state of Oklahoma. 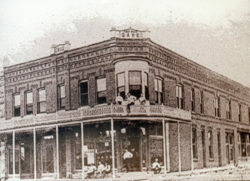 Within a few short years after the declaration of statehood of Oklahoma, eight local businessmen formed a consortium to create a bank in Bristow, Oklahoma. On May 16, 1916, American National Bank began. 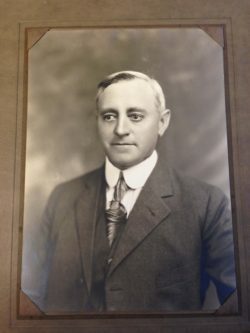 The “family” atmosphere, which many of our customers feel when they come through our doors, began in the 1930’s when Albert Kelly stepped in as non-managing chairman of the board of American National Bank. Though there has been tremendous growth, a name change and many milestones along the way, the Kelly family is still an integral part of SpiritBank three generations later. We have come a long way from our roots in Bristow, Oklahoma. However, our commitment to our communities and our customers will remain constant, as we continue to grow with you. Family businesses depend upon the vibrancy of their community, and SpiritBank is no exception. We are a statewide leader in championing economic development and incentive programs that create new jobs and bring new companies to Oklahoma. The Kelly family coined the phrase—the ministry of banking—which describes their focus on fulfilling the needs and dreams of people in our communities. SpiritBank truly cares about our customers, employees, communities and, most of all, Oklahoma.